Health officials say they are investigating after people in 19 states may have been exposed to dangerous bacteria resistant to drugs from drinking raw milk . At least one person got sick. According to the Centers for Disease Control and Prevention, a case of infection called brucellosis was confirmed in New York. The individual consumed raw unpasteurized milk from Miller's Biodiversity Farm in Quarryville, Pennsylvania. 9659003] Officials say that an unknown number of people may have been exposed to bacteria, the Brucella RB51 strain, from drinking raw milk from this farm. The brucella is a harmful germ that can be transmitted from animals to humans. This particular type of Brucella is resistant to first-line drugs and may be difficult to diagnose due to limited test options, the CDC says. The symptoms are similar to those of the most common diseases like influenza, even making it difficult to capture. RB51 is a live, weakened strain used in vaccines to protect cows from more severe Brucella infections. In rare cases, the cows that receive this vaccine can release bacteria from their milk. If milk is not pasteurized to kill germs, people who consume it can become infected. The New York case of brucellosis is the third known case of human infection with RB51 associated with consumption of raw milk or raw milk products produced in the United States. The other two cases were in October 2017 in New Jersey and in August 2017 in Texas. In addition to these three confirmed cases, officials say hundreds of other people were potentially exposed during the same period. Symptoms can start anywhere from five days up to six months after exposure. The infection can be treated with antibiotics, but those who are not treated can develop more serious complications, such as arthritis, heart problems, enlarged spleen or liver and, in rare cases, problems with the nervous system, like meningitis. 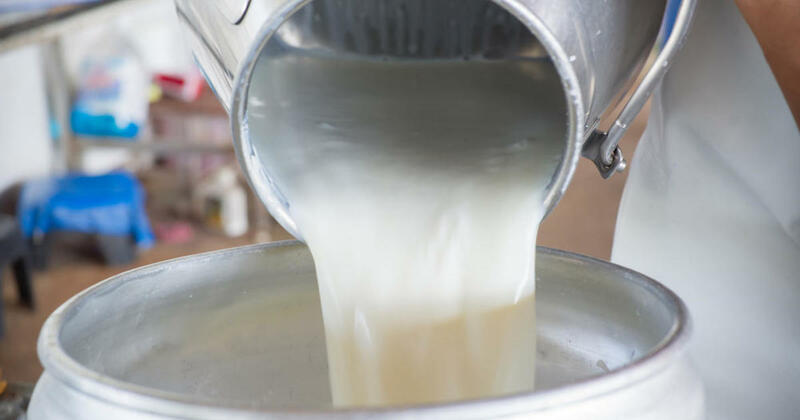 The CDC says that people who have consumed raw milk from Miller's Biodiversity Farm in Quarryville, Pennsylvania, since January 2016 may have been exposed and should speak with their doctor. People who have consumed raw milk from the farm more than six months ago but who have had brucellosis symptoms and have not been treated should immediately consult their doctor for tests to determine if they need treatment to avoid health problems at long term . Finally, consumers should throw away any raw milk or raw milk products from this dairy company.